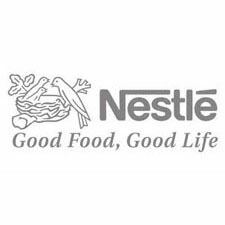 With current revenues of well over CHF 80 billion per annum, Nestle is the biggest food company in the world. A very small selection of Nestle brands includes Carnation, Libby’s, Nescafe, Mountain Blend, San Pellegrino, Cheerios, Nesquik, Shredded Wheat, Shreddies, After Eight, Kit Kat, Milky Way, Munchies, Quality Street, Rolo, Rowntrees, Smarties, Wonka, Yorkie. The list goes on and on and on and of course includes products produced under the name of Nestle. Farine Lactee, an infant cereal, was the first company product introduced around the time of the company’s formation at the turn of the twentieth century. According to the BV judging panel there has been well over one hundred years of visionary branding to justify the 2016 award for Nestle: Best Branding Food & Beverage Global.